With our certified mobile auto mechanics you're always near a mechanic shop so you don't have to go far to fix your car. Our main services are brake replacements, used car inspections, oil changes and more. Phone support hours are typically 7AM to 5 PM Monday to Saturday. "I have to say I've been very impressed with instaMek. I am insanely busy and having to book my car in and lose 2 hours being shuffled back and forth is just too painful. " - Chris A. You can find more details on our service packages page. We replace brake pads, rotors, calipers, lines, hoses, cylinders and more right on site. You don't need to go to a shop for this service because we have the tools and equipment to do it all on site using only the highest quality parks and taking our time with each service. Your brakes is something you want to take seriously. Car Not Starting? No Need For a Tow Truck! We’re a mobile auto repair company in Western Canada with good old fashioned customer centric values. 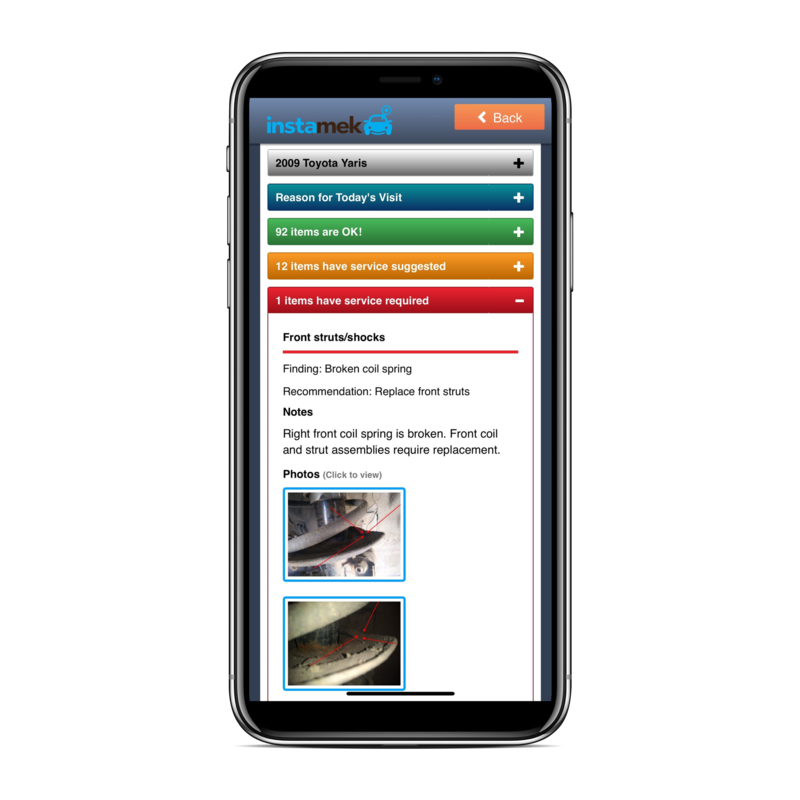 With hundreds of 5 star reviews and national media attention – our mission is to give you a hassle free car repair experience and we will do everything in our power to make that true. 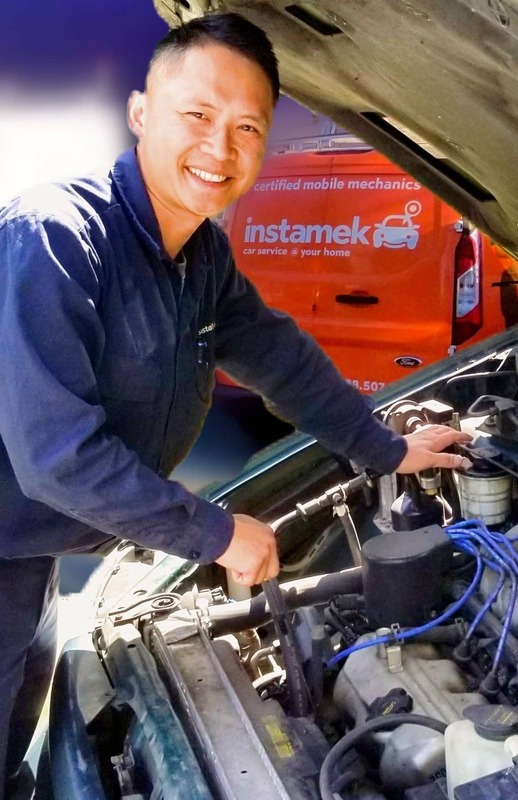 From West Vancouver to South Surrey and even to Langley - we will send out a technician that cares about your families vehicle as if it was their own. Our work is backed by a 20,000 / 12 month gold warranty program that includes parts & labour - plus if anything goes wrong after our repair we will come inspect it for free even if it wasn't our fault. Call (604) 330-0424 and experience the instaMek way. You can find all our authentic reviews online by doing a simple search here. Oddly, one day, both of our cars didn’t start! The service from Mohammed was fast and efficient and courteous and now our cars are good again. It’s so much easier to have a mechanic come to your car than to tow it to a shop. We will use this service again as needed and will definitely recommend it to others as well. Thank you. Great service. Mohamed was very efficient. Thank you. Would definitely call again. Got an inspection done by Mo and it was super easy to deal with. Mo is very personable and did a great job of going through the vehicle with a fine tooth comb. Highly recommended! I'm so happy I found instamek because they did an inspection for me and saved me so much. The seller said the car was in great shape with no issues but Jack came by and found out it needed a new transmission and the all the suspension parts were completely rusted out. That's what you get for trying to buy a car from Ontario but it did save me from buying a nightmare! Having a mechanic come to my home was a first and Mo took away any and all concerns as I watched him work his magic. Job well done and yes I'll use this service again, thanks guys! Got Omar out to replace the brakes on my BMW M3. The dealership quoted me over $2500 and I got it done for half that with instaMek. Plus the service was super easy to use and it's been 6 months no problem so it's great. One of the easiest experiences I've had with my car. Called up instaMek and they came by within the hour and replaced my battery and at a price that's totally worth it. Mo did a great job replacing my catalytic converter! He went above and beyond to get everything done correctly, even though it was heavily rusted. A+ will ask for Mo again! Efficient, great advice, I’m happy with his diagnosis. Great service! Diagnostic - Parasitic Draw for a 2008 Ford Escape Hybrid. 5, Mo was knowledgeable and helpful. Thank you InstaMek. Jack was great. 4.5. Courteous and efficient. Water pump blown out hose replaced. Minor communication challenges at start as english not his native tongue.